Stitching, Knitting and a book….or two! 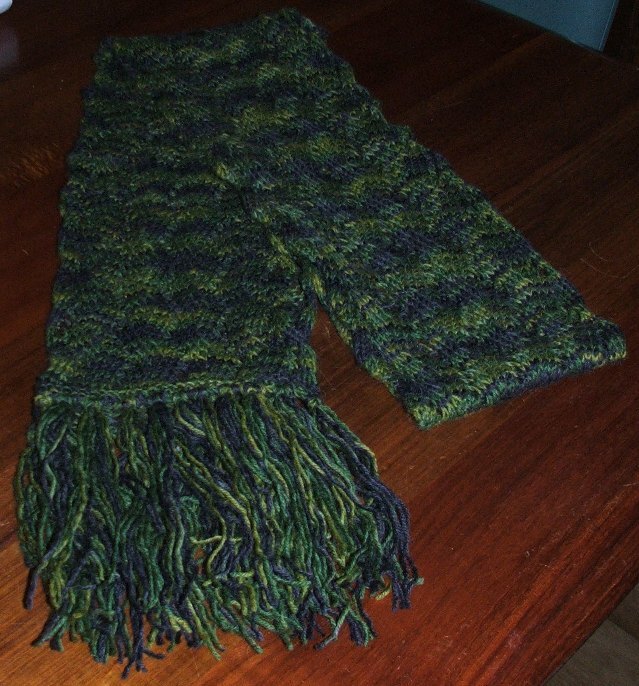 « Two more knitty finishes. 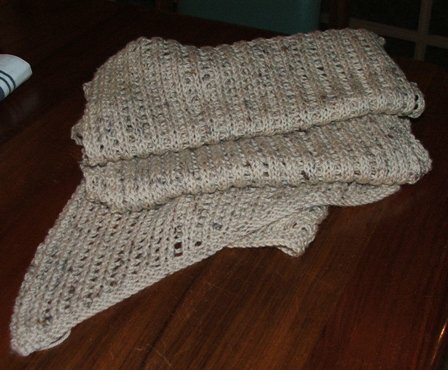 Here is the “Isobel” scarf from here! It’s turned out really nicely I think. Margie will love it! The wrap pattern is from the Knitting Essentials Mag at Spotlight – it’s free online 🙂 This is pattern number 37! 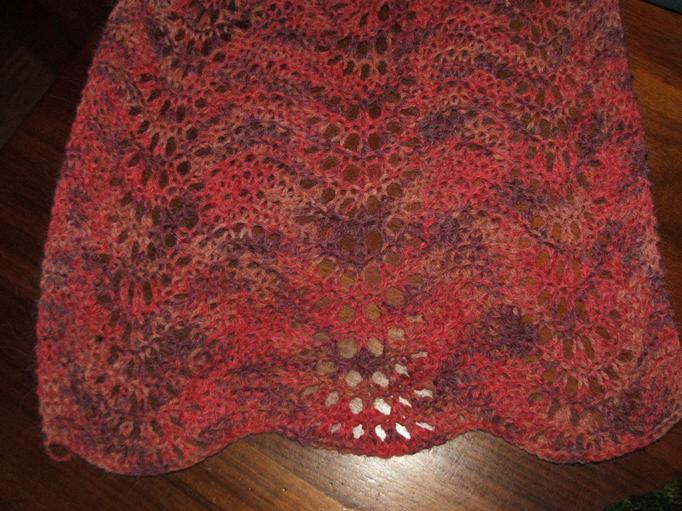 The feather and fan scarf is from Wendy Knits blog 🙂 This is not the only pattern that I will knit from there I suspect! I like knitting. Not more than stitching…..not even as much, but it I am enjoying it so much at the moment while stitching is beyond me! !